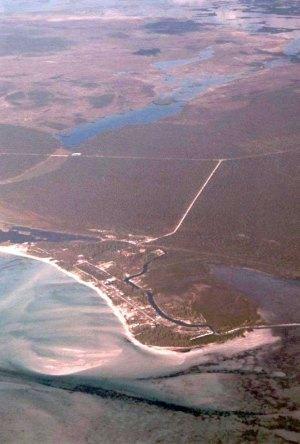 The Abacos are further north than the other Bahamian Islands, and Marsh Harbour is home base for most tourist operations among the islands. There are so many beaches it is hard to come up with a best of list. Most beaches are similar in that they are white sand and slope very gradually out to the ocean. This is due to the open sea and wave action they receive. Large portion of elkhorn coral abound in this area and snorkeling is a delight. There is one place we believe will charm you here on Abacos – Elbow Cay. It’s a nice find. There are beautiful cottages right on the beach. Rent one for a week and see your gray hair go away. It’s an hour from Florida and only 20 minutes from Marsh Harbour on Great Abaco. Relaxation is a four and a half mile strip where Hope Town is located. There are only a few hotels and restaurants here so the mode of transportation here, by the most part, is golf cart, bicycle, or by boat. Hey, remember the pace here is slow as molasses. Most like it that way. Most hotels here have no television. Can you handle that? If so, you’ll fall in love with Hope Town and surrounds. People first came here in the 18th century. Loyalists who fled the American Revolution. 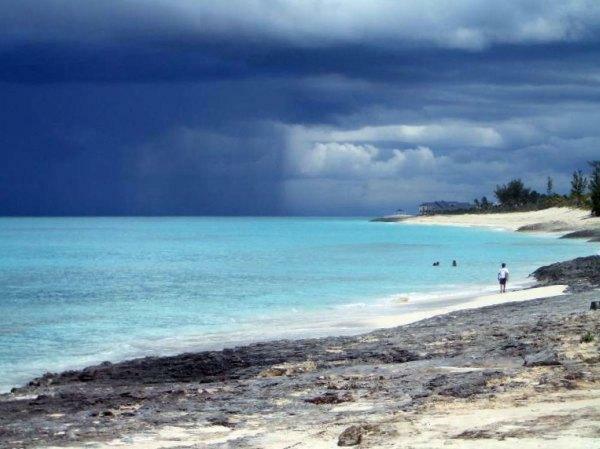 If you’re looking for the best beaches on the Abacos, you’ll need some help. The major town on the Out Islands is Marsh Harbour, and yet it has some of the not so beautiful beaches. But, your lodging in Marsh Harbour will be able to tell you where to go. Some will tell you to try the tiny beach at Abaco Beach Resort, but just remember, it’s private – so you’ll need to buy a drink at the bar, or be a guest. Nonetheless, you’ll not feel right – so let’s get on to the great beaches here. You’ll need transportation. The best beaches actually lie about 15 to 20 minutes south of Marsh Harbour. Starting around Casuarina Point, southward, just take any of the eastward roads off the main highway. These all lead to the ocean. Once there, park anywhere along the shoreline and find your little piece of paradise. Enchanting! Imagine white powder, turquoise waters, and you. Make it a day and know that at Casuarina Point and “points” in between, you can find some fine Bahamian cuisine. Make friends with the locals. You may be back! 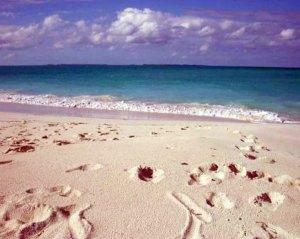 Besides, you’ve just found the best beaches on The Abacos! Sand – soft white, medium grain, coral based. Facilities – only at the hotels/restaurants along the way. Shade – some coconut palms. Sports – arrange dive and snorkel trips in Marsh Harbour. Notes – no lifeguards, guard your belongings.